When you go to San Francisco it feels like you are emerging out of a wonderful dream. That beautiful euphoric haze. The fog and the rain when I visited gave everything this beautiful misty glow. 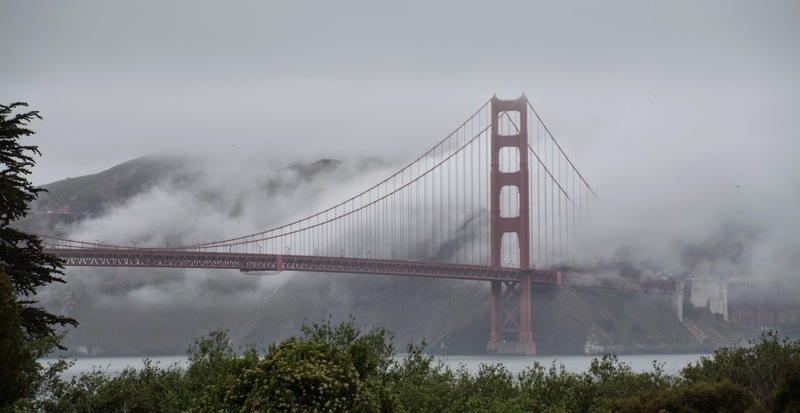 I only got a very short view of the Golden Gate Bridge as it suddenly appeared from the fog and then quickly the fog embraced it again. My husband claims it was a city that felt like home to him but he claimed that about London as well. I could live in both those cities but I never got that "ahh I'm Home" feeling. Alcatraz Island was a sight to behold. We did not get a chance to tour it but I bet its cold and damp out on that retired island prison. 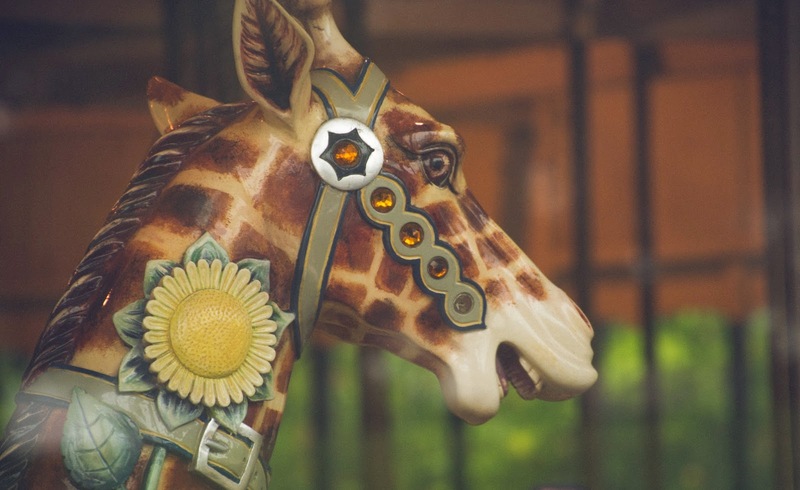 This Giraffe is from the Carousel at Golden Gate Park. Being big Disney Nerds we visited the Disney Family Museum. It was a fantastic museum that I highly recommend if you are in San Fran. 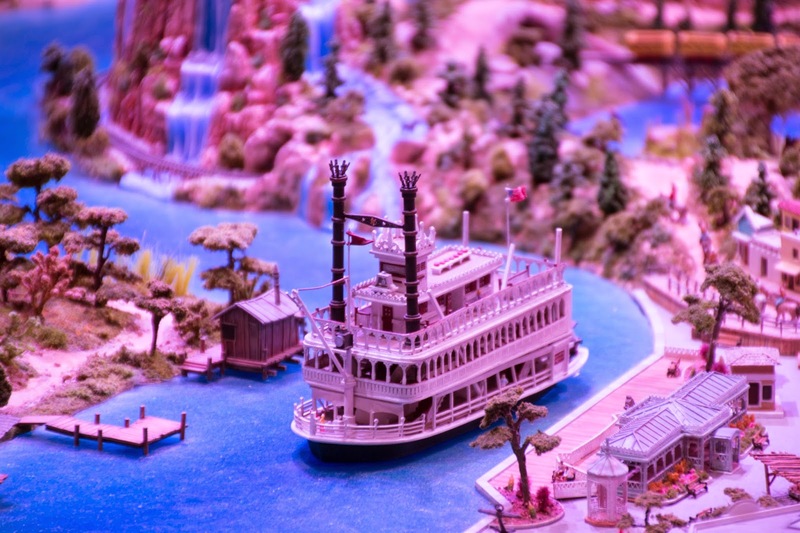 Below is a picture of a model of Disneyland that was being displayed in the museum. I loved the way this photo came out. One of my favorite sites was Lombard Street. 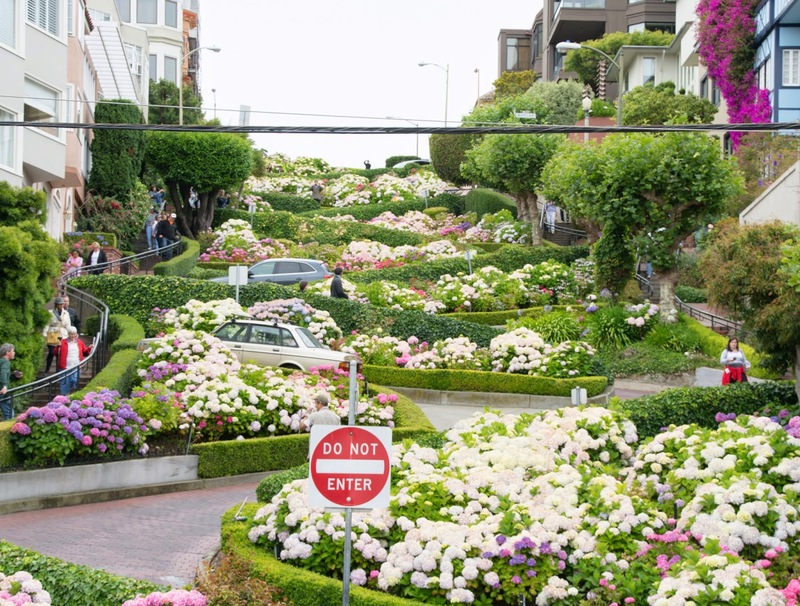 The "Crookedest Street" in the world with 8 hairpin turns. The landscaping is absolutely divine. Gorgeous view from the top of Lombard Street. 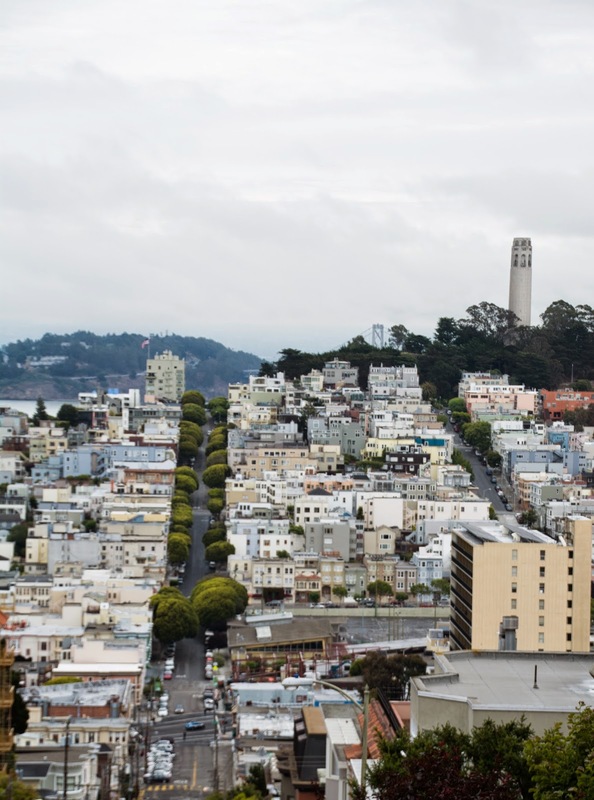 That's Coit Tower in the distance. 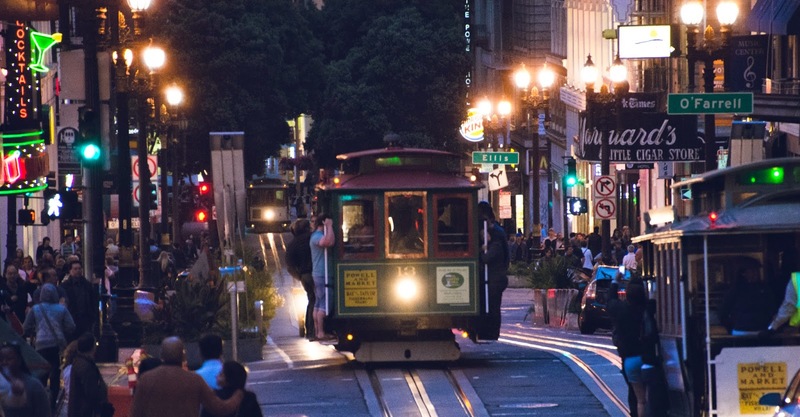 Obviously I had to ride on the Cable Cars and the Streetcars. I cannot imagine how these would work in New York but back in the day they existed. 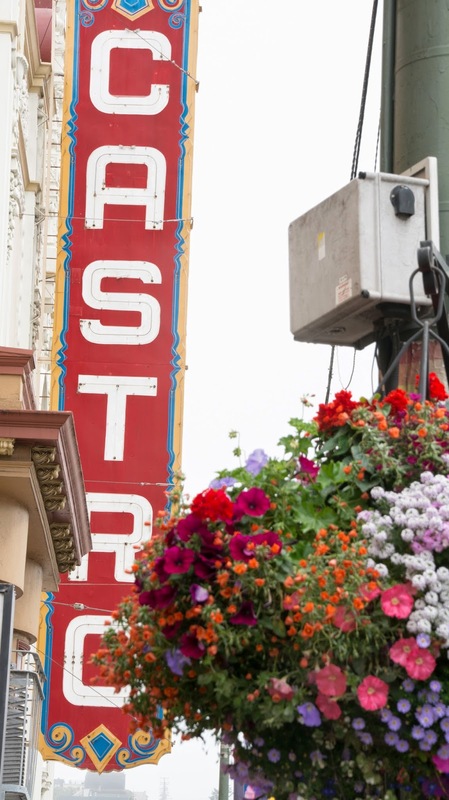 Visited the famous Castro district known for its passion for Gay Rights. Gorgeous! 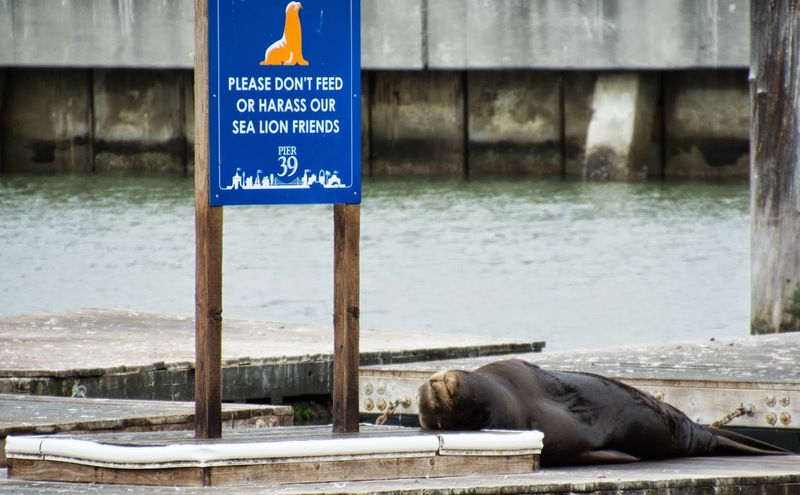 Saw the Sea Lions at Fisherman's Wharf! 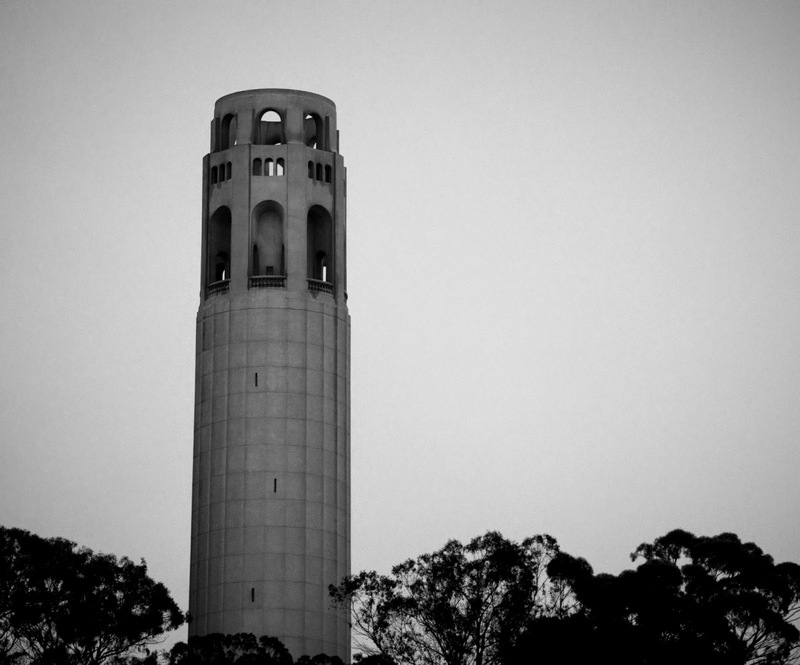 Coit Tower was stunning to me. 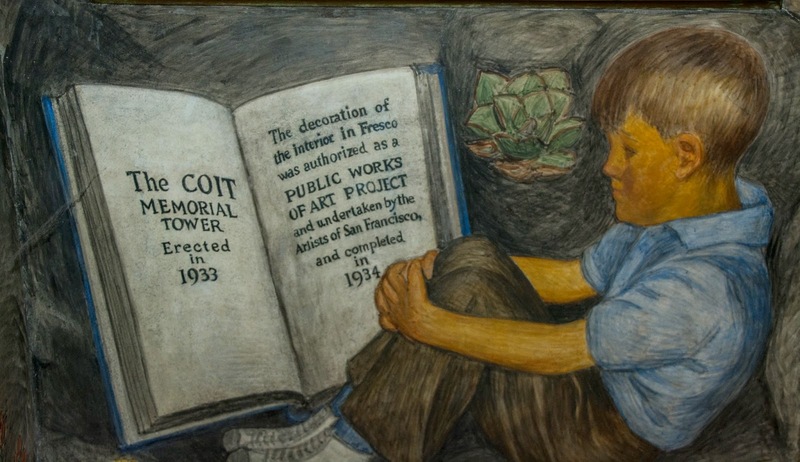 I never expected the beautiful murals inside it from the 1930s. Only spent a few days in San Francisco and I really hope to one day make it back when the sun is shining. I only regret not doing one thing during our time, we never got to get Breakfast at Mama's. The line was always around the block and I was too hungry to wait. Next time I will wait! Have you ever had a foreign city feel like home? Want to see more Incredible Places? 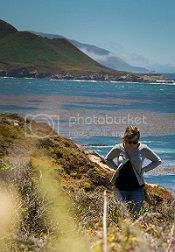 Check out Yosemite National Park or take a ride down The Pacific Coast Highway. Thank you Eden! I hope you are having a wonderful day as well!